Gil Roth is the founder and president of the Pharma & Biopharma Outsourcing Association (PBOA). In this role since 2014, he advocates for the regulatory, legislative, and general business interests of the CMO/CDMO sector. He has recruited many companies into the association, organized PBOA’s various working groups and committees, helped negotiate industry user fee programs, testified to Congress on behalf of PBOA members, educated Congressional staff on this sector’s role and interests, given presentations at FDA and other regulatory bodies, managed PBOA’s annual membership conference, and more. In 1999, he helped launch Contract Pharma, which swiftly became the premier magazine covering the pharma/biopharma outsourcing and contract services industry. He served as editor of Contract Pharma from October 1999 until February 2014, chronicling the evolution of the pharmaceutical outsourcing sector. He also helped build the magazine’s annual Contracting & Outsourcing Conference & Exhibition into a top-tier event for both contract service providers and their clients. In 2013, while reporting on an article about the Generic Drug User Fee Amendments (GDUFA), Mr. Roth had the idea to build a trade association for CMOs and CDMOs, in order to provide them with a voice in regulatory and legislative areas and to raise awareness of the pivotal role they play in healthcare. He stepped down from the editorship of Contract Pharma in February 2014 in order to take on the full-time job of launching the PBOA and building its roster of member companies. Gil Roth received a B.A. from Hampshire College in 1993, and an M.A.L.A. from St. John’s College (Annapolis, MD) in 1995. He was an associate editor and managing editor for several business-to-business magazines before becoming the founding editor of Contract Pharma, a role he held for nearly 15 years. He can be reached at gil.roth@pharma-bio.org. Peter Bigelow is the President of xCell Strategic Consulting, a consulting firm to the pharmaceutical industry. He recently served as Interim President of the Qualitest Pharma division of Endo Health Solutions, Inc. Prior to founding xCell, he served as the President of North America Commercial Operations at Patheon and also held the role of CEO. 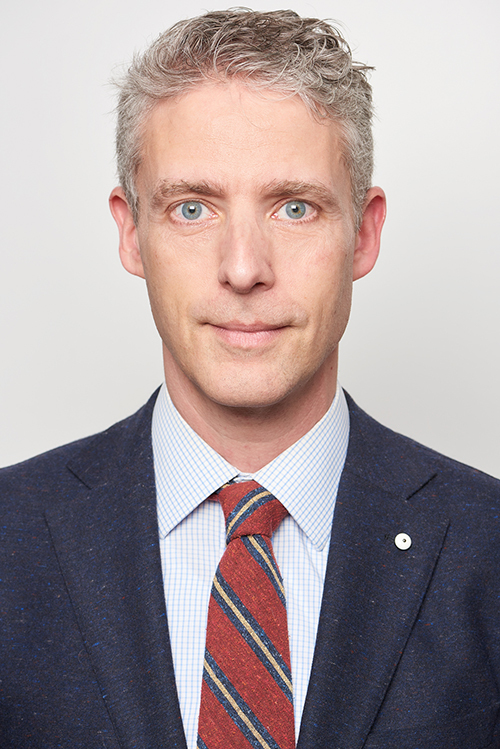 Peter is a member of the International Leadership Forum of the ISPE and is a frequent speaker at Industry events. He serves on the board of IPS, a global engineering services company, and the Advisory Board of Tracelink, Inc. He has a BS in Mechanical Engineering from Villanova University and an MBA from Philadelphia University. Peter and his wife Lynn reside in Valley Forge, PA.
Cornell Stamoran serves as Vice President of Strategy for Catalent, Inc., the leading global provider of advanced delivery technologies and development solutions for drugs, biologics, and consumer health products. Mr. Stamoran leads Catalent’s strategic planning and market intelligence efforts, as well as supporting its government affairs, investor relations, global M&A and technology innovation and acquisition activities. He also serves as a founding Director of Catalent’s Applied Drug Delivery Institute. Cornell has spent more than 25 years engaged with the health care industry, including 23 years in advanced drug and biologic delivery and outsourcing. 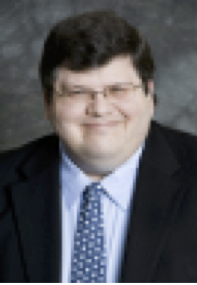 He currently serves on the Editorial Advisory Board of Drug Development and Delivery magazine; on several industry conference advisory teams; and on the steering committee for the Healthcare Institute of New Jersey. Mr. Thorpe has over 35 years of professional experience in pharmaceutical operations, entrepreneurial initiatives and investment banking. Tom is currently the CEO of Afton Scientific, the parent of AnovaFill, a cGMP contract manufacturer of clinical and commercial sterile injectable drugs. Afton Scientific is also the world’s premier provider of pre-sterilized (Ready-to-Fill®) vials and components for cGMP aseptic processing. He is the former Chairman of the Virginia Biotechnology Association (Virginia Bio) a statewide organization that promotes the scientific, legislative and economic agenda of the life sciences industry in the Commonwealth of Virginia. He holds a BS degree in Chemical Engineering from the University of Connecticut and an MBA from University of Virginia. Tom lives in Charlottesville with his wife and three daughters and still enjoys getting knocked around playing ice hockey and lacrosse. Marshall Crew currently serves as Head of Strategy for Thermo Fisher Scientific Pharma Services. After joining Patheon in 2015, he has held positions of vice president for PDS Global Science and Technology and more recently SVP Innovation. Dr. Crew has more than 20 years of experience in drug delivery, formulation development, process design, solid state characterization and computational modeling. With more than 28 patents and patent applications, he is a recognized innovator in drug delivery including solubilization, controlled-release, and nanotechnology. Prior to Patheon, he was CEO and founder of Agere, a CDMO specializing in oral bioavailability of insoluble molecules. The company was acquired by Patheon in 2015. In 2015 he was a recipient of The Medicine Maker Power List. Marshall received his Ph.D. in Physical Chemistry from Oregon State University. Amar Karandikar BSc, MBA has 20+ years of experience in the food, agriculture commodity, chemical and pharma industry. He has worked in strategy, program management, procurement and sales and marketing across India, Africa, UK and the US. He is currently the VP of business development and leads the business development team in North America for their integrated CDMO services business at Piramal Pharma solutions. Marie Keeley leads the BioPharma Solutions business for Baxter. She has over 25 years’ experience in the healthcare industry. Marie has been with Baxter for the past 15 years. Most recently, she lead the Global Anesthesia & Critical Care business. Throughout her career with Baxter, she has held leadership roles with increasing responsibilities, in sales, national accounts and business operations. Marie earned her bachelor’s degree from Northern Illinois University, in addition to her MBA from Kellogg Graduate School of Management at Northwestern University. Mr. Pierce’s responsibilities include the development of new business opportunities, the continuation of contract client relations and overseeing the business development and marketing departments. Mr. Pierce has held numerous positions within Jubilant HollisterStier; including Manager – QA Commercial, Manager – Regulatory Affairs CMO, Validation (Tech transfer/Project Management of early CMO projects), and Environmental Monitoring. He joined Jubilant HollisterStier in 2001, after previously working in retrovirus vaccine development in Seattle. He holds degrees in Microbiology and Cell/Molecular Biology from the University of Washington. JoyL is currently the General Manager, Pfizer CentreOne. In this role, she leads Pfizer’s embedded Global Contract Manufacturing Organization spanning roughly 65 colleagues and generating ~$800M in revenue annually. Pfizer CentreOne is complimentary to Pfizer’s core Biopharmaceuticals business, where it partners with customers to utilize existing manufacturing capacity and technologies to bring medicines to patients. Prior to this role, she was the Global Operations Lead/Chief of Staff for Pfizer Essential Health, where she delivered strategic and operational support for the Group President Office, set up a framework to integrate new business, and refreshed Pfizer’s strategy for growth. JoyL diversified her experience with external engagement as the Global Integration Lead for Pfizer Oncology in 2015, serving as the key point of contact between Pfizer and Merck KGaA Immuno-Oncology Alliance. In this pivotal role, she was the point of contact across a highly matrixed set of leaders to prepare for co-development and commercialization of avelumab across 15 different tumor types and over 20 clinical development programs. While in this role, the Alliance won the 2015 Scrip Best Partnership Alliance Award (Pfizer-Merck KGaA). JoyL began her nearly 20-year career at Pfizer as a healthcare sales representative and progressed through a series of commercial leadership roles such as Regional Business Director and Commercial Enablement Lead. Through these experiences, she led large organizations of 250+ matrixed colleagues to achieve strong results in complex markets, delivered new strategies for how Pfizer provide value to Integrated Delivery Networks, and assumed fiscal accountability for ~$500M in revenue. In 2012, JoyL was the recipient of Pfizer’s Innovation award and recognized with the Rising Star award by the Healthcare Businesswoman’s Association She is a graduate of the South Carolina Honors College at the University of South Carolina where she received a Bachelor of Science degree in Biological Sciences with a minor in Medical Humanities. 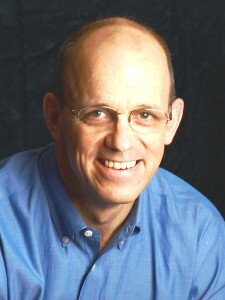 David Whitman earned a PhD Chemistry from the University of Washington. David is currently Vice President, Manufacturing and Supply Chain for 3M Drug Delivery Systems Division. He has a BA in Chemistry and Environmental Studies from Macalester College and a MS and PhD in Chemistry from the University of Washington. His post-doctoral research was in therapeutic drug monitoring at the department of Laboratory Medicine and Pathology at the University of Minnesota. David has spent over 30 years in the health care field with the majority within the 3M Health Care Business. Prior to his current assignment, he has held leadership roles in R&D, Quality, Regulatory, Clinical, Program Management, Business and Lean Six Sigma for pharmaceuticals, medical devices and in vitro diagnostics at 3M. The PBOA's board of trustees were nominated by the association's Founding Members. Trustees each serve a three-year term and are responsible for setting the PBOA's agenda as it begins its mission to serve and represent the CMO/CDMO industry. Officers, including Chairman, Vice-Chairman, Secretary and Treasurer, also serve three-year terms and are elected at the PBOA's annual meeting every September. In addition to our Founding and General Members, the PBOA also includes Affiliate Members, Media Partners, and an Advisory Committee.